Yes this is a BRAND NEW set of Irons still in the factory wrap! The Manufacturer's Suggested Retail Price for this set is $249.95 ...Your price is MUCH BETTER!! WE SHIP MOST ORDERS WITHIN 24 BUSINESS HOURS!! 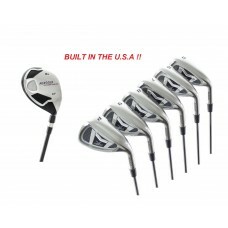 This SET of IRONS from AGXGOLF is a HIGH TECHNOLOGY ADVANCED package!! #4 HYBRID UTILITY IRON: combines the power of a wood with the accuracy of an iron. 5, 6, 7, 8 & 9 IRONS: Cavity back, perimeter weighted and oversized for maximum forgiveness and accuracy. The Low Center of Gravity construction provides tremendous power and loft. Abstract: The AGXGOLF XS TOUR TOUR ALL GRAPHITE EDITION is a TRUE PRO-LINE set of Golf Irons featuring a Hybrid Utility Iron and 5-9 + PW & SW. These Stainless Steel heads will last a lifetime. Importantly, these clubs are fitted with the Magnum Edition Men's (Choose Flex) Graphite Shafts. The reduced weight of these shafts (78g/irns) offer greater swing speeds. Reduced weight coupled with special 4.5 Torque spec provides Distance and Accuracy! 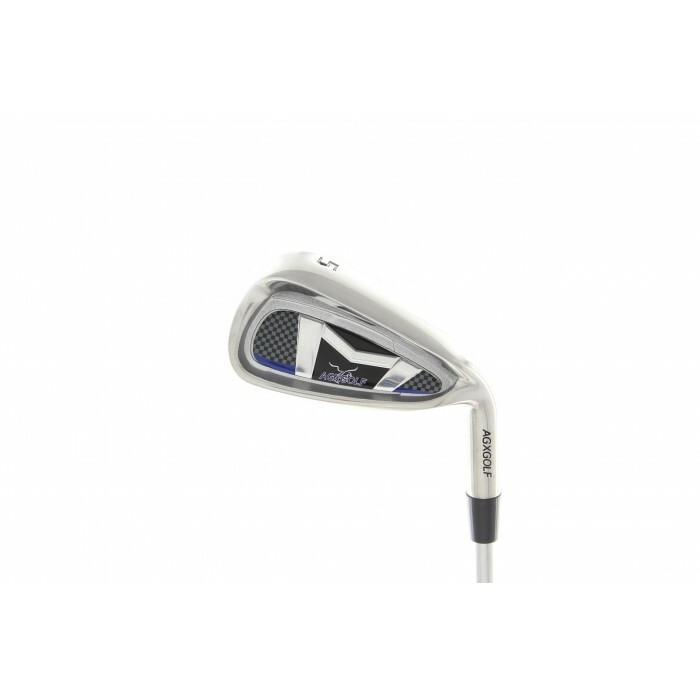 This club head design technology, Plus the superior high modulus graphite shaft technology (on hybrid iron) produces golf clubs with awesome distance and accuracy. What makes the HIGH "MOI (Moment of Inertia) so effective is the Physics behind it: Having the weight distributed to the perimeter of club head increases the Moment Of Inertia; this reduces the torsional rotation of the club head. Simply put: the club head is more likely to come through the ball "square" and that means more straight shots and less hooks and slices!!! These masterfully crafted irons are real "shot makers"! The oversize steel heads are cavity back and perimeter weighted. a club head design that makes it much easier to hit a nice high straight shot while still allowing you to "work" or "shape" your shots when needed!! The #4 hybrid utility iron combines the power of a wood with the accuracy of an iron. No longer will you dread those long fairway shots!! 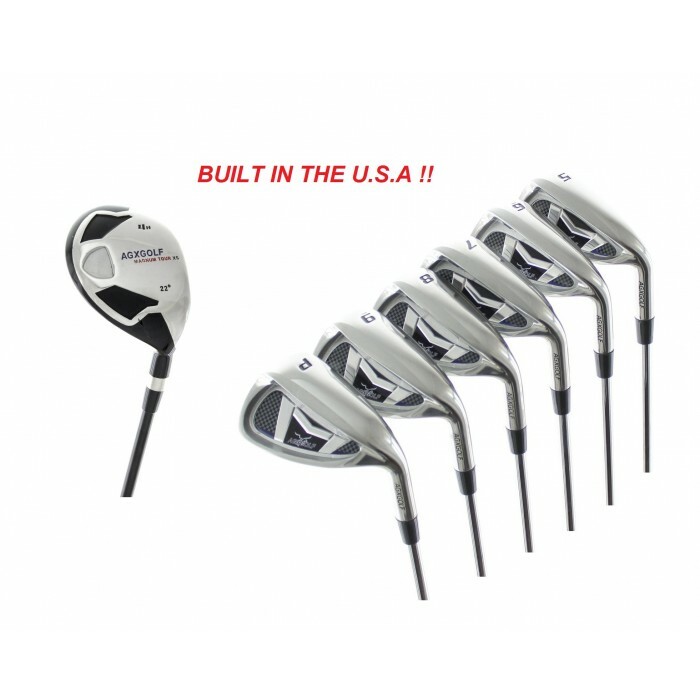 A Sharp design with the technology for season after season of excellent golf, this is a set of golf clubs you will truly be proud to own!! We are extremely pleased with the superb styling and craftsmanship of these clubs! You may find it hard to believe how much better you'll be hitting the ball, getting better distance and feeling relaxed and confident with your swing. 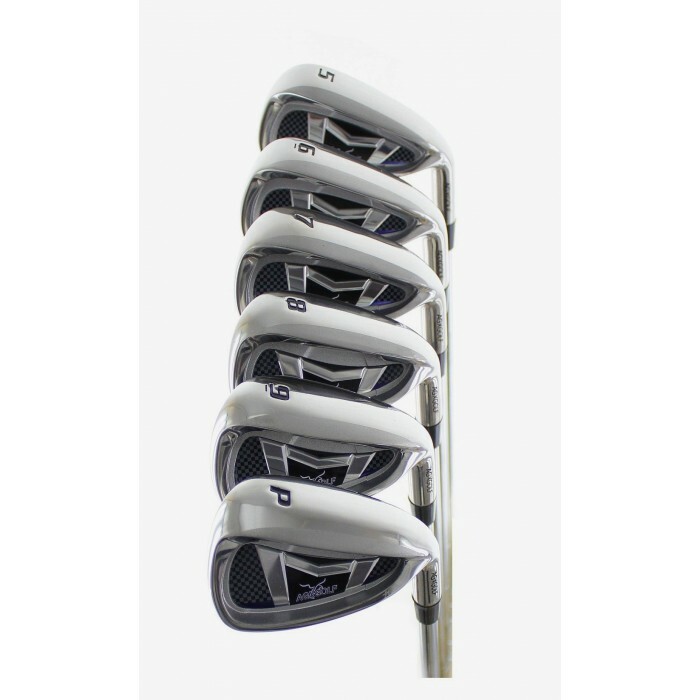 Although these sets are intended for intermediate handicap golfers, beginners who don't mind starting out with an advanced set will find that these clubs are easy to learn with! THIS LISTING IS FOR A MEN'S RIGHT HAND SET; NOT SURE OF YOUR SIZE? FREE SHIPPING for contiguous U.S.A. ONLY. Other destinations: PLEASE CONTACT US; Shipping will be billed at our actual shipping cost.